Acid erosion is an increasingly prevalent condition being recognised in today’s time and age. It is a common reason why patients come in to see the dentist because of the associated teeth sensitivity. Erosion can be seen in the mouth particularly on the chewing surfaces of teeth as smooth cupping surfaces, with the yellow colour of the underlying dentine layer showing through. It is this exposed dentine layer that causes sensitivity as it contains channels that can communicate with the nerve inside the tooth. External: there is a lot of food and drink which patients are not aware that have fairly low pH. Internal: patients can be exposed to stomach acids if they experience reflux; often this can cause patients to wake up with discomfort at 2am or 3am in the morning mid-sleep. Did you know acid in the food and drink that you consume can affect your teeth? We advise patients to limit the amount of acidic foods and drinks they consume as it can over time contribute to erosion of the outermost enamel layer of the teeth. This exposes the underlying dentine layer and can cause sensitivity as a result. The second image gives an example of the pH of things. 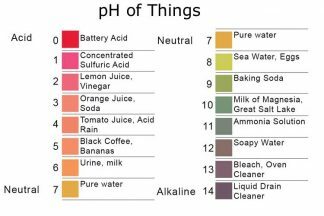 The lower the pH of a food or drink, the more acidic it is and therefore the more potential to cause damage to your teeth. The best way to prevent erosion, is to avoid these foods and drinks including sports drinks, energy drinks, carbonated water and soda. 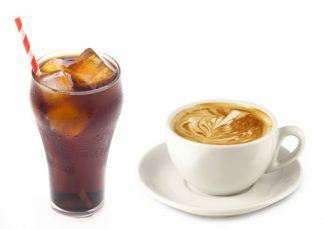 If you do occasionally have one of these beverages then it is best to drink through a straw so that it is aimed to the back of the mouth, rinse with water afterwards and chew some sugar free gum. Having the drink in one go and with a meal, rather than sipping throughout the day also helps because the tooth is vulnerable to wear for 30 minutes after exposure to anything acidic. The acid tends to “soften” the tooth during this time so brushing your teeth right after consuming something acidic will cause further abrasion type wear of the tooth, worsening any existing sensitivity.